A mentor always stressed that “there is no such thing as coincidence”. So what are the chances that “a number of survivors” of last year’s Las Vegas shooting should get caught up in the latest shooting? Including one, Telemacus Orfanos, who was killed. That’s no small “coincidence”, especially given the raft of anomalies and unanswered questions concerning the Las Vegas shooting. Nor is Telemacus Orfanos the first survivor from the Las Vegas shooting to subsequently die an untimely death. At least seven other witnesses to the Las Vegas shooting died untimely deaths last year. What they all had in common was that their accounts of what happened in Las Vegas were at odds with the official narrative. One common theme was that “multiple gunmen” were involved in the Las Vegas shooting. Was it just another “coincidence” that they all died untimely deaths following the Las Vegas shooting? And what are the chances that survivors of the Las Vegas shooting should get caught up in the latest shooting that left another Las Vegas survivor, Telemachus Orfanos dead? Ed. Perhaps even more telling were renewed calls for gun-control that followed in the wake of the latest shooting. The Guardian headline below typified a rash of similar sentiments expressed by gun-control advocates. 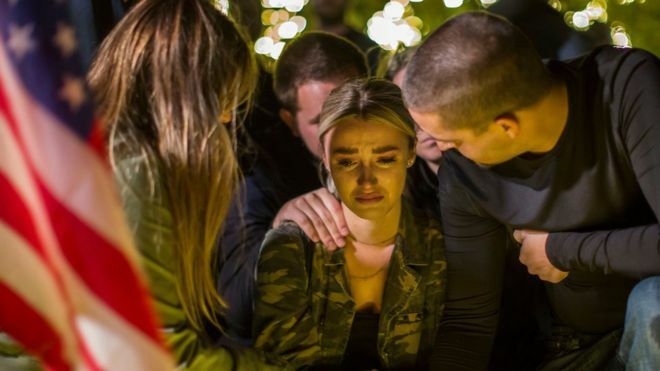 A California gun law might have stopped the bar massacre. Why wasn’t it used? A California law designed to help police or family members keep guns out of the hands of at-risk individuals might have stopped the shooter who killed 12 people at a country and western bar. After a mass shooting four years ago, the state passed a new law where courts could be asked to temporarily bar an at-risk person from owning guns. The massacre in Thousand Oaks, California, has troubling parallels to the 2014 shooting, experts said, highlighting the fact that California’s three-year-old “gun violence restraining order” law is still rarely used. Passed in the wake of the 2014 Isla Vista shooting, the new law was designed to close gaps in existing laws on mental health and violence – gaps that had allowed the Isla Vista shooter, Elliot Rodger, to legally own guns, despite a history of disturbing behavior that had alarmed his family and prompted a welfare check from law enforcement. 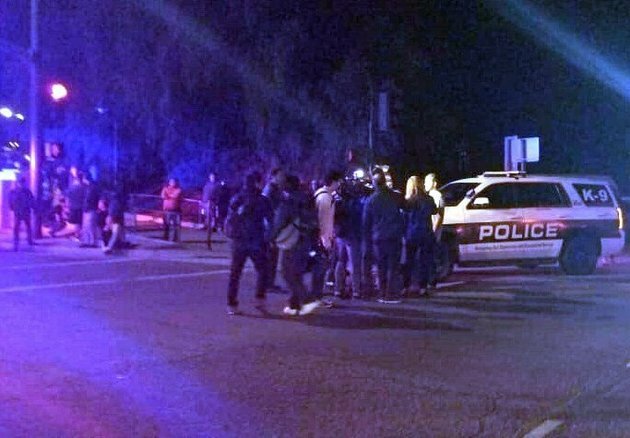 In both the Isla Vista and Thousand Oaks shootings, law enforcement officials had contact with the shooter before the attack but had determined that they did not meet the criteria to be involuntarily detained for further mental health assessment. The California “gun violence restraining order law”, which went into effect in 2016, was supposed to bridge the gap, giving law enforcement or family members tools to disarm someone showing signs of dangerous behavior, even if their behavior does not warrant immediate detention. “The idea of the gun violence restraining order is that you don’t have to wait until someone is immediately dangerous and threatening someone if there are behavioral indications of risk. The idea is to intervene upstream,” said Jeff Swanson, a Duke University researcher and one of the nation’s leading experts on mental health and violence. It’s an approach to gun violence prevention that has attracted increasing bipartisan support since the school shooting in Parkland, Florida, this February, which left 17 people dead. The 19-year-old Parkland shooter had a long history of troubled behavior and contact with law enforcement. The FBI received two separate warnings about threatening statements from the shooter but failed to fully follow up on either. Gun violence restraining orders, also known as “extreme risk protection orders”, are “meant to enable people who are most likely to know that someone is at risk of harming themselves or others to take action, to remove the most lethal form of harm for them,” Anderman said.